Based in North Petherton, Somerset, in the South West of the UK, we are a family owned and run company that’s been in business for over 20 years. Calleva has a growing team of committed and highly trained staff and in recent years has successfully expanded into new, purpose built premises to continue the natural growth and advancement of our capabilities and services offered. Our approach is flexible and we have a wide customer base, supplying products to brands available all over the world. Companies both big and small can benefit from the close relationships, comprehensive capacity and friendly approach Calleva works with. We have become strategic and trusted partners to many of our customers, as we offer much more and go much further than most contract suppliers can. Clive started Calleva in 1993, and as he regularly likes to remind people, this was from his bedroom! 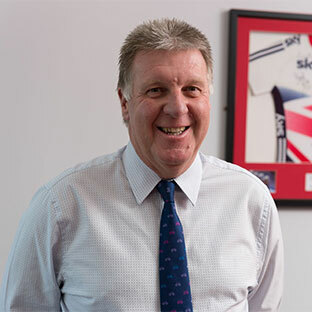 Since then the company has come a very long way and throughout the years Clive has been at the helm to drive the growth and adapt the company strategy and focus through what have been increasingly challenging economic times for everyone. With Several relocations and expansions over the years, Calleva’s most recent move into our purpose built factory has realised Clive’s long term aspiration of creating one of the best and most technically advanced manufacturing facilities in Europe. Clive’s background as a food technologist and through working within multinational companies within the dairy, flavourings and hydrocolloid industries created the basis for the extensive knowledge and capabilities Calleva has today. A born Salesman, Clive heads up the sales department and likes to visit customers and clients whenever possible and of course has the final sign off on the commercials of a new project. Clive has a passion for Cricket and has close ties with Somerset County Cricket Club, who he has supported since childhood and likes nothing more than slipping out to catch a T20 game or the exciting last day of a championship match, assuming he can tear himself away from project work in the lab! Wendy joined her husband Clive as General Manager over 15 years ago and expertly manages the finance and HR aspects of the business. For many years Wendy also covered the Quality System and Health and Safety areas of running Calleva but since the company has expanded in recent years this has been passed on to dedicated and expert managers. 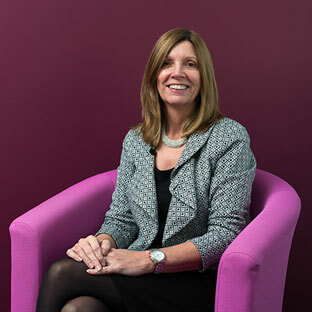 Wendy’s office door is always open to any member of staff who wants to talk and she often uses her considerable experience from her previous high level career within corporate facilities management to advise, console and generally support all of Calleva’s staff and keep the team happy and motivated. Outside work Wendy loves to spend time with her Grand children, who she regularly has to visit her and also likes to get away for holidays in the Tuscany and Piedmont regions of Italy, which has nothing at all to do with the ready supply of her favourite wines! Natasha heads up Calleva’s office and admin team and is in charge of purchasing, logistics and supply chain management. 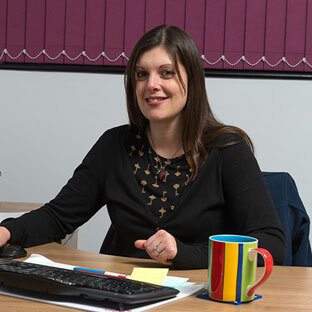 Bringing new projects to commercial fruition by arranging all the practicalities and details to enable scale up from the Calleva NPD team is Natasha’s forte. Other than Clive and Wendy, Natasha is Calleva’s longest serving employee. Natasha has truly mastered the art of multi tasking and along with her trusty ‘to-do list’, a large mug of tea and of course the support of the rest of her admin team, can keep Calleva functioning behind the scenes whether it’s production planning, procuring ingredients and materials for an upcoming order, or, as the self appointed head of the social committee, organising the next Calleva staff do! A childhood swimming champion and big Tottenham Hotspur fan, Natasha is no stranger to Sports Nutrition and happily gets involved in new projects, often providing the first line of customer interaction when dealing with the many enquiries we receive. At home, Natasha enjoys a healthy and active lifestyle, particularly walking her labrador, although she is partial to the occasional drop of cider-the favourite tipple of her adopted home county of Somerset. Ed oversees the operational side of Calleva’s activities, whether that’s the day to day production, or the specifying, testing and installation of new plant and equipment to expand Calleva’s capabilities with continuous investment. Ed is also heavily involved in the commercial side of new project work and handles the packaging and costing elements. Working closely with Natasha (his wife) and the quality team to pull together the various aspects of a new project to fulfil Calleva’s end to end promise of creating a product and delivering the finished goods to the customer. 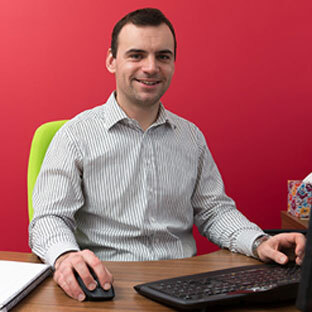 Previously Ed worked within the Sports and Leisure Industry, including as a swimming coach and instructor, and has a keen interest in the science behind nutritional products. As a former amateur rugby player, cyclist and triathlete for many years, Ed has extensive knowledge and first hand experience of using nutritional products during sport and their use and application during exercise. Unfortunately in recent years Ed’s sporting pursuits outside work have taken a back seat due to a house renovation, marriage arrangements and involvement in the construction of the new Calleva factory but he does still have time to pursue his other passion for Barbecuing on a large scale for friends and family whenever possible.